Bacterial ecology is defined as the interaction between bacteria and with their environment. Bacteria play a vital role in the biosphere and certain key processes, such as, the production and oxidation of methane, soil formation, conversion of rock to soil etc. Bacteria are single-celled microorganisms and the part of microbiological science which encompasses the study of bacteria is known as “Bacteriology”. Major researches in bacteriology over the past years resulted in the development of many useful vaccines. The ancestors of present bacteria were said to be first forms of life on earth. Bacterial cells are about 0.5-5.0 micrometres in length. Bacteria exists in different shapes like single celled, diploid (Neisseria), chains (Streptococcus), filaments (Actinobacteria).Bacteria lack membrane bound organelles, contains single loop DNA, it generally undergo conjugation. There are techniques like staining to differentiate Gram positive and Gram negative bacteria. Compared to virus, cost for antibiotics is low still 700 million infections were found every year with the mortality rate of 0.1% normally and in severe conditions it is about 25%. 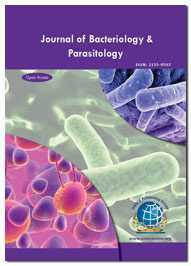 The global Clinical Bacteriology market is valued at $6,727.29 million in 2014 and is expected to grow at a CAGR of 13.03% between 2014 and 2019. Increasing disease burden of infectious diseases and increased funding for healthcare expenditure are the important growth drivers for this market during the forecast period. Related Conferences : World Conference on Infection Prevention and Control, November 28-29, 2016 Spain, Annual Conference on Rare Diseases and Orphan Drugs, October 26-27, 2016 USA, Infectious Diseases Conferences Europe, Frankfurt Germany, September 5-6 2016, 3rd International Conference on Chronic Obstructive Pulmonary Disease (COPD), July 11-12, 2016 Australia, 4th International Congress on Bacteriology and Infectious Diseases, May 16-18, 2016 USA, 43rd Annual Meeting of the Infectious Diseases Society for Obstetrics and Gynaecology, Aug 11th - 13th, 2016 USA, Infectious Diseases Society of Ireland Annual Scientific Meeting 2016, May 12th - 14th, 2016 Dublin, 34th Annual Meeting of the European Society for Paediatric Infectious Diseases, May 10th - 14th, 2016 UK, Infection Prevention Society 6th Annual Conference 2016, Sep 26th - 28th, 2016 UK, Status Quo of Brain Infections, Sep 4th- 6th, 2016 Turkey. Identification is the practical application of taxonomic knowledge. The control of microbial nutrition and microbial growth involves microscopy of microbes and sterilization, disinfection, sanitization processes or use of chemical agents and applied bacteriology and Veterinary Clinical Sciences. Pathogenic microorganisms are microbes which are capable of causing disease when enters into the body which can spread through water, air, soil and also through physical contact. For the Diagnosis of pathogenic microorganisms, the direct examination and techniques includes Immunofluorescence, immuno-peroxidase staining, and other immunoassays may detect specific microbial antigens. In molecular medicine generally Genetic probes identify genus- or species-specific DNA or RNA sequences. Mostly bacteria’s are harmless and beneficial but some are pathogenic. Dichotomous keys and diagnostic tables form the backbone of everyday identification, Standardization of methods for characterizing tests, the development of multiple inoculation apparatus, and the use of mass cultures will enable more reliable tests to be carried out and more strains to be tested. There are rapid methods for bacterial identifications for mycobacteria confirmations, and tracks contaminant sources of all pathogenic, indicators, spoiler organisms, and other environmental isolates using the latest technologies. The global microbial identification market is estimated at $896.5 million by the end of 2014 and is expected to grow at a CAGR of 5.9% from 2014 to 2019, to reach $1,194.1 million by 2019. Occupational epidemiology is of great importance in clinical epidemiology and of occupational hygiene since it provides powerful and good information to understand the causes and determinants of work related ill-health, to help establish what steps should be taken to reduce occupational risks, and to evaluate interventions for the benefits of workers, and of the community in a bigger manner. Many organisms live in and on our bodies which are normally harmless or even helpful, but under certain conditions, some organisms may cause disease. Some infectious diseases can be passed from person to person. 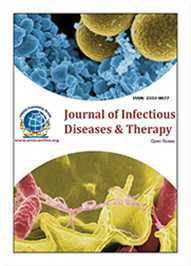 It introduces the basic methods for infectious disease epidemiology and case studies of important disease syndromes, bacterial Infection and entities. Methods include definitions and nomenclature, outbreak investigations, disease surveillance, case-control studies, cohort studies, laboratory diagnosis, molecular epidemiology, dynamics of transmission, and assessment of vaccine field effectiveness. Case-studies focus on acute respiratory infections, diarrheal diseases, hepatitis, HIV, tuberculosis, sexually transmitted diseases, malaria, and other vector-borne diseases. The IDD market is poised to reach $18,156.2 million by 2019 from $12,422.8 million in 2014, at a CAGR of 7.9% from 2014 to 2019. Meningitis is an acute inflammation of the protective membranes covering the brain and spinal cord, known collectively as the meninges. The inflammation may be caused by infection with viruses, bacteria, or other microorganisms, and less commonly by certain drugs. Meningitis can be life threatening because of the inflammation's proximity to the brain and spinal cord. The common symptoms are headache and neck stiffness associated with fever, confusion or altered consciousness, vomiting, and an inability to tolerate light (photophobia) or loud noises (phonophobia).There are about 464,000 deaths in 1990 and 303,000 deaths in 2013. Many bacterial Infection forms biofilms with which its pathogenic nature increases. The vast majority of these compounds exert their antibiofilm properties through disruption of "quorum sensing," a common means of intercellular communication in bacterial communities that allows coordinated expression of virulence factors and facilitates formation of the complex architecture of mature bacterial biofilms causing zoonotic bacterial diseases. Certain pathogens like Pseudomonas syringe injects virulence in plant host causing diseases. For the Diagnosis of Pathogenic microorganisms Direct Examination and Techniques includes Immunofluorescence, immuno-peroxidase staining, and other immunoassays may detect specific microbial antigens. Genetic probes identify genus- or species-specific DNA or RNA sequences. Forensic evidence involves application of forensic science, technology or "forensics", in order to identify the scene of an accident, specific objects from the trace evidence and often at a crime scene. It is usually submitted to court, which are obtained by scientific methods like by blood test, DNA test. Diagnostic Pathology deals with examination of body tissues and their examination. Microscopical study of abnormal tissue development, disease determination, histopathology of lesions and sometimes post-mortem. It does research on critical diagnosis in surgical pathology. Antibiotic resistant microorganisms have become a brewing problem to our nation. A report states that about 2 million people get sick and 23,000 dies per year because of these microorganisms. The annual cost for the medical expenses were up to $35 billion and another $35 billion was lost in productivity. Symbiosis is a mutual relationship between two organisms it may be plant, animal, bacteria. Corals form characteristic associations with symbiotic nitrogen fixing bacteria. Rhizobium can infect the roots of leguminous plants. Plants gain nutrients and energy from the bacteria that fix nitrogen to the root nodules of the plant. F.graminearum infects wheat spikes. Plant Biochemistry is not only an important field of basic science explaining the molecular function of a plant, but is also an applied science that is in the position to contribute to the solution of agricultural and pharmaceutical problems. The fungus enters the plant through natural openings such as stomates and act on flowers, embryo then infect the plant. After germination of spores, hyphae penetrate the epicarp and spread through the different layers of the seed coat and finally kill the colonised endosperm. Plant defensins are small, highly stable, cysteine-rich peptides that constitute a part of the innate immune system primarily directed against fungal pathogens. Biological activities reported for plant defensins include antifungal activity, antibacterial activity, proteinase inhibitory activity and insect amylase inhibitory activity. Plant defensis have been shown to inhibit infectious diseases of humans and to induce apoptosis in a human pathogen. Certain bacteria provide benefits to plant including tolerance to temperature stress, salty soils, drought etc. so, there developed microbial seed and plan treatments to confer these stress conditions. It was reported that seed treatment market is trying to reach $ 6 billion by 2020 as it used to be $ 3.6 billion in 2003. This plant microbe symbiosis will not only increase crops but also increases number of habitants to survive on our planet. Related Conferences World Conference on Infection Prevention and Control, November 28-29, 2016 Spain, Annual Conference on Rare Diseases and Orphan Drugs, October 26-27, 2016 USA, Infectious Diseases Conferences Europe, Frankfurt Germany, September 5-6 2016, 3rd International Conference on Chronic Obstructive Pulmonary Disease (COPD), July 11-12, 2016 Australia, 4th International Congress on Bacteriology and Infectious Diseases, May 16-18, 2016 USA, 43rd Annual Meeting of the Infectious Diseases Society for Obstetrics and Gynaecology, Aug 11th - 13th, 2016 USA, Infectious Diseases Society of Ireland Annual Scientific Meeting 2016, May 12th - 14th, 2016 Dublin, 34th Annual Meeting of the European Society for Paediatric Infectious Diseases, May 10th - 14th, 2016 UK, Infection Prevention Society 6th Annual Conference 2016, Sep 26th - 28th, 2016 UK, Status Quo of Brain Infections, Sep 4th- 6th, 2016 Turkey. Veterinary microbiology and Veterinary Clinical Research deals with microbial diseases of domesticated vertebrate animals that provide food, companionship etc. Mycobacteriosis: Mycobacteria are rod shaped, acid fast, gram positive bacteria. Mycobacteriosis is the disease caused by mycobacteria, It involves infections in animals, fish. It includes M. aquae, M. fortuitum, M. intracellulare, M. kansasii, M. scrofulaceum. Mycobacterial virulence involves, although the disease causing mycobacterium species don't liberate any toxic substance as such but is has a specific virulent structure that causes disease. Some virulent characters of mycobacterium include its structural and physical properties such as its mechanism of entering in the cell, its morphology, its chemical nature and its intracellular cell growth property. In fishes, Kanamycin powder at 1/4 teaspoon per 75.7 Litres (20 US G) and Isoniazid at one tablet per 37.9 Litres (10 US G). M.shottsii was first identified in 2001 and is present in 76% of infected bass. There are serious threat to people around the world by TB and Leprosy which are caused by M.tuberculi and M.leprae. Tuberculosis growth in the patients of us was found to be 91%(2006), 72%(2007), 81%(2008), 93%(2009), 87%(2010), 97%(2011). About 32% of human population is affected by Tuberculosis and 10% of them become ill per year, about 3.4 cases per 100,000 people were reported the previous year. In us about 5000 cases were reported on leprosy as per 2004.Globally 2000 cases were reported. About 763,200(2001) was reported which was decreased to 249,000(2008). Out of 122 countries 119 had achieved the leprosy eradication by 21st century. Humans are associated with microorganisms, as they even colonize in the body like S.aureus in the upper respiratory tract but it may not be harmful to the host and micro inflammation is a body’s defensive response towards an invading microorganism as an effort for self-protection to eradicate harmful stimuli. There are innate immune systems (primary defense mechanism) and adaptive immune system (secondary defence mechanism). Immunogenetics is a subspeciality of medicine that studies the relationship between genetics and immunology. Immunogenetics helps in understanding the pathogenesis of several autoimmune and infectious diseases and bacterial infections under clinical bacteriology also. The effect of pathogen on host not only depends upon the virulence factor but also depend upon the host’s genetic background. Some species shows innate susceptibility to pathogen not with host like syphilis, gonorrhoea, measles and poliomyelitis act on humans alone. The anatomical defense includes penetration of bacteria through the cut, puncture or scrap on the skin. There are some others like phagocytosis, inflammation through which bacteria can enter the host. Cell mediated immunity cytotoxic T lymphocytes, and the release of various cytokines in response to an antigen.CD4 cells. For a good and proper health conditions, there is a need to improve immune systems. In the total adult population of US only 3% are able to manage the stress (10%), energy (15%) and sleep (11%) and a compromised immune system simultaneously. Diagnostic Pathology involves with examination of body tissues and their examination. Microscopical study of abnormal tissue development, disease determination, histopathology of lesions and sometimes post-mortem. It does research on critical diagnosis in surgical pathology. Many diseases are associated with bacterial infections. A pathogen predisposes to diseases states but may not cause disease. It may cause disease only in combinations (toxins exposure).Any disease causing gene that reduces survival and reproduction will eliminate itself over a number of generations therefore genetic diseases are self-extinguishing. For example, genes that encode sickle cell anaemia are maintained and persist down generations, as these genes protect against malaria, which kills millions worldwide every year. About 70% deaths in US results from chronic diseases and the treatment accounting 75% of all US healthcare costs (amounting to $ 1.7 trillion in 2009). During the past 10 years, genomics and bacterial genomics based approaches have had a profound impact on the field of microbiology and our understanding of microbial species. Because of their larger genome sizes, genome sequencing efforts on fungi and unicellular eukaryotes were slower to get started than projects focused on prokaryotes; however, today there are a number of genome sequences available from both of these groups of organisms that have led to significant improvements in overall sequence annotation and also shed considerable light on novel aspects of their biology. Molecular systems biology is an integrative discipline that seeks to explain the properties and behaviour of complex biological systems in terms of their molecular components and their interactions. Systems biology is the computational and mathematical modeling of complex biological systems. According to the World Health Organization more than 1 million people acquire a sexually transmitted infection (STI) every day and an estimated 500 million people become ill with Chlamydia, gonorrhoea, syphilis or trichomoniasis every year. Approximately 40% of the bacterial species that have been targeted for genome analysis represent important human pathogens. Approximately 40% of the bacterial species based on bacterial pathogenesis that have been targeted for genome analysis represent important human pathogens. Using a whole genome shotgun approach, Tyson et al. (2004) were able to reconstruct two almost complete genome sequences of Leptospirillum group II and Ferro plasma type II and the partial sequence of three other species from a low complexity acid mine drainage biofilm growing underground within a pyrite or body. Global Review under microbial Testing of microbial enzyme in the Industrial Market (IMMR-4) is a new, extensively researched analysis of the sizable market for microbiological testing in the industrial market. IMMR-4 tracks and compares microbiology test volumes, market values and methods used by companies in the production of safe and wholesome products that meet label claims. IMMR-4 includes global test volumes and growth in industrial microbiology with further analysis of market sectors, geographic regions, test methods, organisms tested and sample sources. Current market values are detailed as well as projected through 2019. With five-year projections of both testing volumes and market value, IMMR-4 provides critical input to strategic planning. Synthetic genomics is useful for the synthesis of DNA. It gives the methods which are the combination of chemical and computational techniques. By this combination of methods the work which is almost impossible by using conventional techniques became easier. It is possible to design and assemble the whole genome by using synthetic genomics. Applied microbiology is a branch deals with application of microorganisms in the field of science for the production of human beneficial products such as medicines, antibiotics, vaccines, enzymes, biotechnological engineered products and also in food technology as fermentation products. Chemical and biochemical engineers engage in a wide variety of activities that benefit the global community. Fuel cells, solar energy, and bio renewable fuels (e.g., biodiesel or ethanol) fall within the realm of chemical engineering. Bioremediation occurs when prokaryotes clean up a polluted environment through the natural breakdown of pollutants. Bioremediation can remove oil, some pesticides, fertilizers, and toxic chemicals, such as arsenic, from the environment. Germicidal UV irradiation may be an effective approach for reducing fungal contamination within AHUs (air handling units). The use of germicidal UV lamps in AHUs resulted in significantly lower levels of fungal contamination in the fiberglass insulation lining of study floor AHUs than in the insulation of control floor units. Loop mediated isothermal amplification (LAMP) of DNA has emerged as an alternative to the use of PCR based methods not only in food safety testing but also in a wide array of application. There are many biogeochemical cycles that are currently being studied for the first time as climate change and human impacts are drastically changing the speed, intensity, and balance of these relatively unknown cycles. These newly studied biogeochemical cycles include the mercury cycle, and the human caused cycle of atrazine, which may affect certain species. Pathogenic bacteria are inflamative bacteria which are capable of causing disease when enters into the body which can spread through water, air, soil and also through physical contact. Mostly bacteria’s are harmless and beneficial but some are pathogenic. The global medical and clinical microbiology market is valued at $6,727.29 million in 2014 and is expected to grow at a CAGR of 13.03% between 2014 and 2019. Increasing disease burden of infectious diseases under industrial microbiology and increased funding for healthcare expenditure are the important growth drivers for this market during the forecast period. The pharmaceuticals application segment accounted for the largest share of the microbiology market in 2014, while the food application segment is expected grow at the highest CAGR between 2014 and 2019 in the global microbiology market. The medical and clinical microbiology market is segmented on the basis of products into consumables and instruments. The consumables product segment is further sub segmented into kits and reagents. The instruments segment is sub segmented into automated microbiology instruments, laboratory instruments, and microbiology analyzers. The automated microbiology instruments are expected to grow at the highest growth rate in the instruments segment. The incubators are expected to grow at the highest growth rate in the laboratory instruments market. Mass spectrometers, are expected to grow at the highest growth rate in the microbiology analyzers segment of industrial bacteriology. In the consumables segment kits are expected to account for the largest share and expected to grow at the highest growth rate during the forecast period. The respiratory diseases segment accounted for the largest share of the medical and clinical microbiology market in 2014. This application segment is expected to grow at the highest CAGR between 2014 and 2019 in the clinical microbiology market. The geographic analysis revealed that North America accounted for the largest share of the global clinical microbiology market in 2014. The Asian regional segment, on the other hand, is expected to register a double-digit growth rate from 2014 to 2019, owing to the increased healthcare spending in this region. Vaccination is a process of administration of an antigenic material (vaccine) into a living mechanism. The clinical effect desired is to cause stimulation of an individual's immune system in order to develop an adaptive immunity against the pathogen constituting the vaccine. Vaccination is the most effective method of prevention for infectious diseases. Vaccine Adjuvants are components which potentiate the immune system and accelerate the immune responses to an antigen. It can also be termed as an immunologic adjuvant. These components act to induce, prolong, and enhance antigen-specific immune responses when used in combination with specific vaccine antigens. Antimicrobial is the agent that kills or restricts the cell growth. To fight against the potential bacteria now-a-days, the manufacturing companies are coming up with more advanced antimicrobial liquids/soaps/sanitizers. Immunization/Vaccination is one of the most cost effective public health interventions to date, saving millions of lives1 and protecting countless children from illness and disability. As a direct result of immunization, polio is on the verge of eradication. Deaths from measles, a major child killer, declined by 71 per cent worldwide and by 80 per cent in sub Saharan Africa between 2000 and 2011.2 And 35 of 59 priority countries have eliminated maternal and neonatal tetanus. Immunization has not yet realized its full potential, however. As of end 2013, 21.8 million children under 1 year of age worldwide had not received the three recommended doses of vaccine against diphtheria, tetanus and pertussis containing vaccine (DTP3), and 21.6 million children in the same age group had failed to receive a single dose of measles containing vaccine. Given an estimated annual cohort of 133.6 million surviving infants, an additional 11.2 million children would need to have been reached during 2013 to attain 90% DTP3 coverage globally. In the spring of 2009, a new flu virus spread quickly across the United States and the world. The first U.S. case of H1N1 (swine flu) was diagnosed on April 15, 2009. By April 21, the Centres for Disease Control and Prevention (CDC) was working to develop a vaccine for this new virus. On April 26, the U.S. government declared H1N1 a public health emergency. By June, 18,000 cases of H1N1 had been reported in the United States. A total of 74 countries were affected by the pandemic. H1N1 vaccine supply was limited in the beginning. People at the highest risk of complications got the vaccine first. By November 2009, 48 states had reported cases of H1N1, mostly in young people. That same month, over 61 million vaccine doses were ready. Reports of flu activity began to decline in parts of the country, which gave the medical community a chance to vaccinate more people. 80 million people were vaccinated against H1N1, which minimized the impact of the illness. The CDC estimates that 43 million to 89 million people had H1N1 between April 2009 and April 2010. They estimate between 8,870 and 18,300 H1N1 related deaths. On August 10, 2010 the World Health Organization (WHO) declared an end to the global H1N1 flu pandemic. One third of the world’s population is infected with TB. In 2013, 9 million people around the world became sick with TB disease. There were around 1.5 million TB related deaths worldwide. TB is a leading killer of people who are HIV infected. A total of 9,582 TB cases (a rate of 3.0 cases per 100,000 persons) were reported in the United States in 2013. Both the number of TB cases reported and the case rate decreased; this represents a 3.6% and 4.3% decline, respectively, compared to 2012. 2015: The United States experienced a large, multi-state measles outbreak linked to an amusement park in California. The outbreak likely started from a traveller who became infected overseas with measles, then visited the amusement park while infectious; however, no source was identified. Analysis by CDC scientists showed that the measles virus type in this outbreak (B3) was identical to the virus type that caused the large measles outbreak in the Philippines in 2014. 2014: The U.S. experienced 23 measles outbreaks in 2014, including one large outbreak of 383 cases, occurring primarily among unvaccinated Amish communities in Ohio. Many of the cases in the U.S. in 2014 were associated with cases brought in from the Philippines, which experienced a large measles outbreak. In 2014, 1,151 people in the United States have been reported to have mumps. Since November 2014, CDC has received reports of people with mumps, who are affiliated with professional hockey teams. CDC is working with the states affected, as they conduct public health investigations. In 2013, 438 people from 39 states in the U.S. were reported to have mumps. Systems biology is the study of Theoretical aspects of systems biology of biological components, which may be molecules, cells, organisms or entire species. Living systems are dynamic and complex and their behaviour may be hard to predict from the properties of individual parts.It involves the computational (involving Insilico modeling in systems biology, Biomarker identification in systems biology) and mathematical modeling of complex biological systems. An emerging engineering approach applied to biomedical and biological scientific research, systems biology is a biology based inter disciplinary field of study that focuses on complex interactions within biological systems, using a holistic approach (holism instead of the more traditional reductionism) to biological and biomedical research involving the use of In vitro regulatory models in systems biology using OMICS tools. Particularly from year 2000 onwards, the concept has been used widely in the biosciences in a variety of contexts. Emerging infectious diseases are those which are caused by bacteria like E.coli, Salmonella, H.pylori, N.gonorrhoeae, N.meningitidis, S.aureus, and S.bacteria. It includes diseases like pneumonia, meningitis, gastroenteritis, urinary tract infections. Case Reports in Clinical Pathology and industrial microbiology supports the diagnosis of disease using laboratory testing of blood, tissues, and other body fluids. There are types of specimens used clinical pathology. They are blood, urine, sputum, faeces, and other body fluids. It deals with women's complaints gynaecological diseases, fertility, pregnancy, '.Pathology (from the Ancient Greek roots of pathos (πάθος), meaning "experience" or "suffering", and -logia (-λογία), "an account of") is a significant component of the causal study of disease and a major field in modern medicine and diagnosis. Pathology is a branch of medical science primarily concerning the examination of organs, tissues, and bodily fluids in order to make a diagnosis of disease. The drugs used to treat such bacterial infections are called Antibiotics. Especially in US about $ 44.68 billion is expected to reach by 2016.In the period of 2005-2011, there is a growth rate of 6.6% annually. The manufacturing of antibiotics has increased gradually these days, so global demand for aminoglycoside antibiotics is about 79%, pencillin 8%, tetracyclines 4%, erythromycin 7%, streptomycin 1% and chloramphenicol shares about 1% in the antibiotic market globally. Certain bacteria provide benefits to plant including tolerance to temperature stress, salty soils, drought etc. so, there developed microbial seed and plan treatments to confer these stress conditions. It was reported that seed treatment market is trying to reach $ 6 billion by 2020 as it used to be $ 3.6 billion in 2003. The consumables, equipment and technology markets in the industrial bacteriology and Microbiology industry comes around nearly $7.7 billion in 2012. This total is expected to grow from $8.5 billion in 2013 to $11.4 billion in 2018, with a compound annual growth rate (CAGR) of 6.1% for the five-year period, 2013 to 2018. The market is segmented on the basis of geography, such as, North America, Europe, Asia-Pacific and Rest of the World. At present, North America and Europe are the most prominent markets, owing to growing prevalence of various gram-positive bacterial infections and associated diseases. However, Asia-Pacific and some countries in Rest of the World region are expected to show lucrative growth in upcoming period, owing to rapidly growing prevalence and awareness about the mycobacterial diseases caused due to gram-positive bacteria and their chronic effects. Under microbiology the value of microbials market is projected to increase to $4,456.37 million by 2019 at a CAGR of 15.3% from 2014. The market is expected to show a prominent cell growth during the forecast period 2014 – 2020. ConferenceSeries.LLC invites all the participants from all over the world to attend 4th International Congress on Bacteriology and Infectious Diseases during May 16-18, 2016 in San Antonio, USA which includes prompt keynote presentations, Oral talks, Poster presentations and Exhibitions. Bacteriology 2016 is providing a global platform for research that affords new insights into Microbiology, Molecular bacteriology, Clinical diagnostic bacteriology, Bacterial infections, Industrial bacteriology, Immunology and Infectious Diseases.Infectious diseases are those which are caused by bacteria like E.coli, Salmonella, H.pylori, N.gonorrhoeae, N.meningitidis, S.aureus, and S.bacteria. It includes diseases like pneumonia, meningitis, gastroenteritis, urinary tract infections. The drugs used to treat such bacterial infections are called Antibiotics. Especially in US about $ 44.68 billion is expected to reach by 2016.In the period of 2005-2011, there is a growth rate of 6.6% annually. The manufacturing of antibiotics has increased gradually these days, so global demand for aminoglycoside antibiotics is about 79%, pencillin 8%, tetracyclines 4%, erythromycin 7%, streptomycin 1% and chloramphenicol shares about 1% in the antibiotic market globally. The consumables, equipment and technology markets in the microbiology industry totaled nearly $7.7 billion in 2012. This total is expected to grow from $8.5 billion in 2013 to $11.4 billion in 2018, with a compound annual growth rate (CAGR) of 6.1% for the five-year period, 2013 to 2018. Bacteriology has become progressively important to human society. It has emerged as one of the most important branches of life sciences. As microbes practically affect all activities of our life like, food, clothing, shelter, health hygiene etc., microbiology has made vast progressive strides in all these fields in little less than a century to improve the quality of our life. Infectious diseases have almost been conquered by new drugs, quality of agricultural crops improved by using techniques of genetic engineering, new varieties of wines, liquors have been produced- all these are possible only because of microbiology. All these will make us wonder how our life would have been without the knowledge of microbiology. It is being acknowledged that the leading cause for infants and children in San Antonio was for conditions originating in the perinatal period (the times shortly before and shortly after birth) accounting for about 9.5 deaths per 100,000 people. Examples of perinatal difficulties include feeding problems in the new born, birth trauma, infections, etc. The second most common cause of death was congenital malformations, deformation and chromosomal abnormalities (for example, poorly developed circulatory or respiratory systems, etc. (about 8.8 per 100,000). The third most common cause of death is other abnormal clinical and laboratory findings (for example, abnormal heartbeat, breathing problems, tremors, persistent fever, etc.) (8.2 per 100,000). 3) The global fund to fight AIDS, TB and Malaria.